When I began to design aircraft it was 1943, the war prevented models flying higher than the roof of a two-storey house lest a nervous witness trigger an air raid alert, we usually restricted ourselves to gliders because elastic of good quality was so difficult to obtain, and the principal design manual was the monthly Aeromodeller magazine, one of whose writers taught me a lesson which resonates still, seventy years later, when I read such words as those spoken by Mr Philip Dunne, the deluded Minister responsible for defence procurement, in support of the Joint Strike Fighter at the Defence Security and Equipment International exhibition in London last week. The spoof adopted a more direct approach, proposing that the easiest solution to the ‘C of G’ problem was to attach a large lead weight to the aircraft tail, and then to ignore it and to forget there had ever been a problem. This recommendation was accompanied by a line drawing of a Spitfire empennage to which a large weight was attached with a thick rope. I must confess that although this revelatory experience has been engraved on my memory since that day, many years passed before I recognised the pervasive nature of the “lead weight syndrome”, not only in aircraft design, but also with other major government projects. As Mr Dunne has announced his enthusiastic support for the JSF, the Joint Strike Fighter of which the British government apparently plans to buy 48, or perhaps 36, or even, the optimists forecast, 72 (although not the originally planned 138 on which the price was to be based), all at an “affordable” but unspecified fly-away price, it would be useful to look at the JSF’s own ‘lead weight’ – one that is unique in aviation in the variety of its tragic aeronautical and financial consequences. The F/A-18 also has unexploited potential, so much so that for some of the partner countries in the JSF project it will be the alternative when they recognise the JSF is a failure, or if the US itself decides that the plug must be pulled. 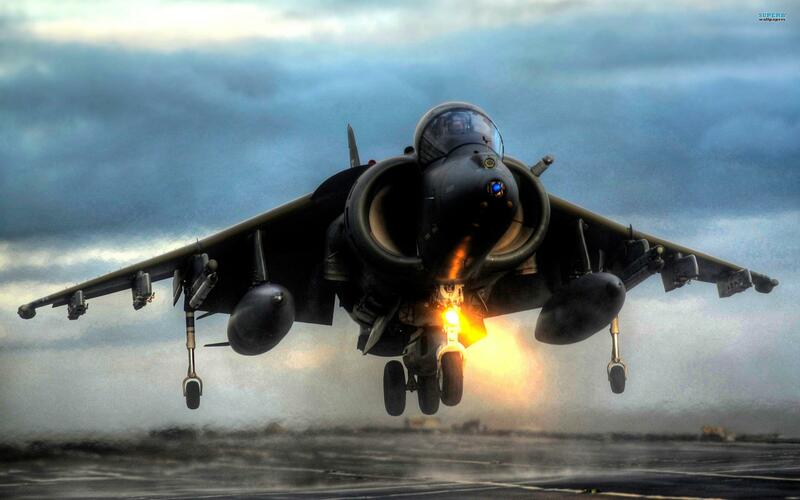 The AV-8 Harrier has no development potential left, but with the Initial Operating Capability (IOC) of the F-35B (the USMC’s jump-jet which is the UK’s too) so far in the future (using here the traditional definition of IOC, not the new and politically convenient definition just adopted by the USMC), then the AV-8 Harrier (and the UK Harrier version lately sold by the MoD to the USMC [72 aircraft plus spares and support equipment for £110 million] at a firesale price) will be doing the JSF jump-jet version’s job very capably for the US for many years yet. What may be deduced from this brief description of these four aircraft? Surely it can be only that the decision to press ahead with the JSF Project was over-hasty, driven by commercial enthusiasm and a lust for profits, not by immediate operational necessity. And the ‘lead weight’? Yes, we shall look at that in a moment. This is the ‘lead weight‘ that was attached to the tail and killed the JSF stone dead – although, yes, still, so many years and hundreds of billions of dollars later, the key actors in the melodrama, while knowing this to be so, refuse to recognise it. The ‘multi-role’ meme is etched into procurers’ minds in the Pentagon and in Whitehall, and those minds appear incapable of looking at the cost objectively. The idea that one all-singing-all-dancing aircraft would do the work of four dedicated aircraft was promoted as both a cost-saver and, in the belief that it would be a certain attraction to the air forces of other nations, by the claim that increasing the numbers sold (3,000 was an early target) would reduce the unit cost for the American buyers. Unfortunately, in reality no major military aircraft production can operate this way today. The supposed economies over the alternative manufacture of dedicated single-role aircraft did not exist, for the cost of the complexities of the exponential growth of the interactions outweigh the hypothetical savings. Moreover, those complexities transform into hyper-expensive complications which lose time, and that time lost gives potential foes the opportunity to leap ahead in the technological race. In warfare, simplicity is good. In warfare, waste avoidance is good. The JSF project failed on these grounds right at the start. And the ‘lead weight’? The jump-jet version for the USMC, sold by a smoke- and-mirrors artist to British governments (both immediately past and sadly present in a coalition), needed vertical thrust to allow jumping. This vertical thrust required a fan of a minimum diameter which reduced the size of the weapons bay and, of crucial importance, disciplined the minimum width of the fuselage in that critically important area. The boasted commonality then cast its lethal shadow and the USAF and USN versions, the F-35A and F-35C, were given that same minimum width too, truly, (although they were allowed to retain the longer weapons bay). One of the most critical aspects of supersonic design and of operating modern fighters is flight in the transonic region, especially the acceleration of the aircraft from 0.8 Mach to 1.2 Mach (from 80 per cent of the speed of sound to 120 per cent). There have been various approaches to this – the hyper-thin wings of the TSR-2 and Concorde, the variable geometry of the later swept wings, and ‘area rule’ which is now observed in all modern supersonic aircraft (except the JSF, of course). ‘Area rule’ gives an aircraft fuselage a waist (just where the F-35B is fattened by its fan) that reduces drag in the transonic region. The effect of that absence of ‘area rule’ on the JSF, on all the versions of the JSF, can be illustrated by comparison examples of the performance data for the F-35A and for the legacy aircraft it is supposedly replacing. An F-16C armed with four missiles and a half-full fuel tank flying at 30,000 feet takes around 28 seconds to accelerate from 0.8 M to 1.2 Mach. The F-35A, hit by the commonality penalty, was not expected to be as good as this, but it was expected to need less than 40 seconds when the first Joint Operational Requirements Document (JORD) was agreed. The third version of the JORD has increased this to 60 seconds. The 40 seconds allowance should not have been accepted ab initio, and its increase to 60 seconds should have had all the politicians refusing to sign contracts until it was explained and improved. But OODA (Obscurantism, Obfuscation, Delusion, Apathy) rules in Washington just as in London. The jump-jet’s extra weight carries other penalties. The decisions to reduce metal thickness in certain areas in order to compensate for it, plus the removal of some safety devices, earned adverse publicity and prompted grave concern among the independent commentators, some of whom, being members of the ‘Fighter Mafia’, have unchallengeable credentials, but the effect on performance was even more alarming. Actually, it is dire, because the F-35B has reached its limit – yet more modifications are being recognised as necessary, and, because this happens to all military aircraft, more equipment will be added in the future. The original JORD gave target specifications. For example, at 15,000 feet and 0.8 Mach all the JSF versions were expected to sustain a load of +6.0g, with a minimum acceptable for the jump-jet of +5.0, but after the Operational Test & Evaluation Report of 2012 this was reduced for the jump-jet to +4.5g. This is one of the key parameters on which, when in combat, a pilot’s life depends. Does the JSF Performance Justify its Replacement of the Legacy Aircraft? 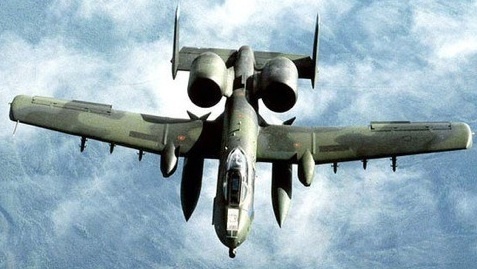 The superb A-10, which is capable of having wings refitted and modern electronics added, could stay as the principal CAS aircraft for the next 40 years. 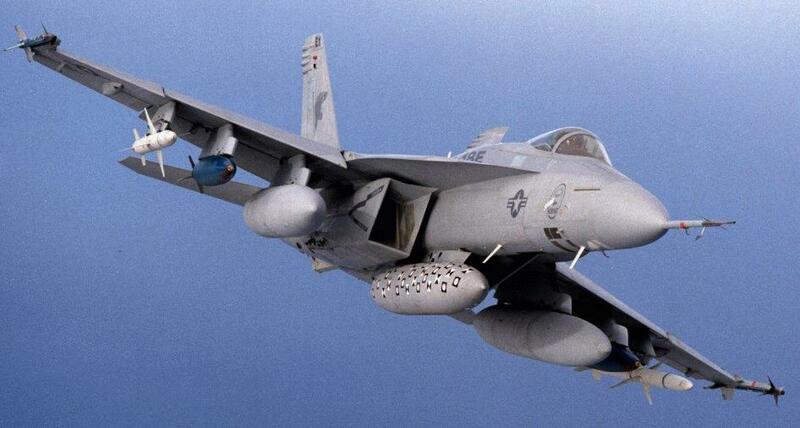 It carries the terrifying Gatling gun and 1,100 30mm explosive shells, plus a variety of missiles, rockets, and bombs, in far greater numbers than the F-35B will carry. Moreover, it was designed to take heavy punishment while flying at very low heights, whereas all the JSF versions are recognised as extremely vulnerable aircraft (currently banned from flying within 25 miles of lightning). 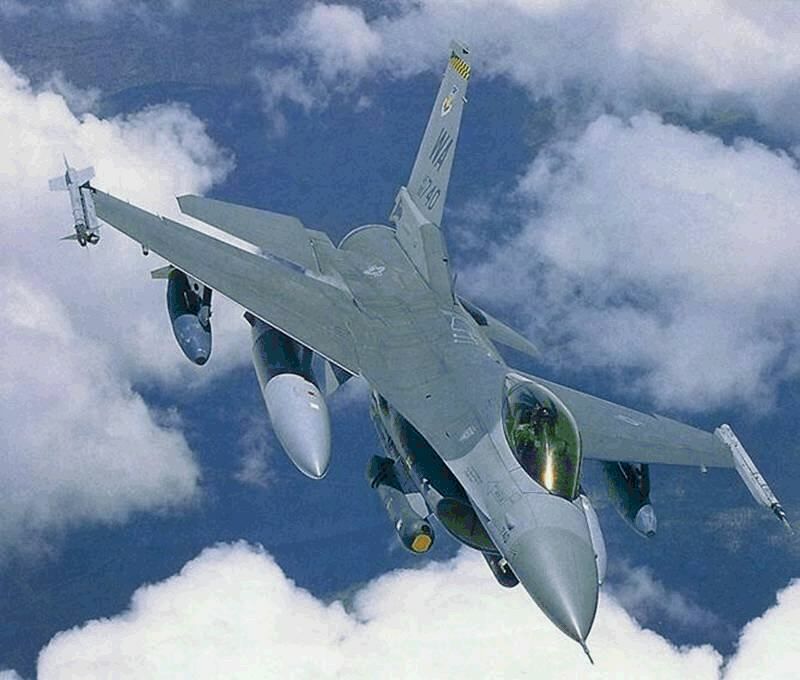 The F-16 as a fighter, and as the strike aircraft for which the original design was adapted, has earned with the Israeli Defence Force an unrivalled reputation for its performance in battle and its operational reliability. How well does the F-35A compare? It is slower, maximum speed being 1.75 Mach (although currently limited to 0.85 Mach because the afterburner’s heat damages its skin) as against 2.0 Mach, but apart from that there is little that can currently be said, not just because many of the key details of the JSF are classified, but because, despite the SDSR2010’s claim of the JSF being the best fighter in the world, its development is not yet complete, its Operational Test & Evaluation (OT&E) programme is still in its infancy (seven years behind schedule), a substantial portion of its computer code is still unwritten, and the helmet display, the nerve centre essential for the control of the aircraft, has serious limitations. As the F-18 replacement, the F-35C must be capable of ‘deep strike’, which is the principal reason that the incoming government in 2010 decided to buy it in preference to the F-35B ordered by its predecessor. Subsequently, owing to political haste and departmental blunders, the choice was reversed and the MoD claimed the F-35B to be capable of ‘deep strike’ – much to the hilarity of North America’s aviation analysts, but to the despair of British analysts who fear for the UK’s future. We can discuss ‘deep strike’ in a future blog when we look at the details of the F-35B key performance parameters (KPP), but today we can note that the radius of action Lockheed Martin quoted initially was 450 nautical miles, that this was reduced in response to haggling about the unrealistic flight profiles used, and that British naval aviators quote 385 nautical miles as being more realistic, especially as the lack of aerial refuelling means that pilots will be very fussy about returning to their carrier with adequate reserves. From that background we must proceed to calculate how far the carrier is to stand offshore to avoid enemy supersonic cruise missiles, for that distance must be subtracted from the radius of action. It does not leave much for any target ‘deep’ inside enemy territory, does it? Does it matter? The solution is simple, one of the JSF’s enthusiastic political supporters claimed, for the F-35B will carry additional fuel in external tanks, just as the F-16 and F/A-18 do, and this will give the extra range required to reach its target! Well, yes, but the great USP of the JSF aircraft is their ‘stealth’ (more accurately, their lower observability) which has absorbed so much of their development budget, and this does not survive external tanks being hung on them. Do the British politicians promising ‘deep strike’ understand what they are claiming? The first jet aircraft the RAF was given for this role was the Canberra whose range was >3,000 miles. The TSR2 planned to replace it claimed a range of >2,800miles. The Buccaneer which did replace the Canberra had a range of 2,300 miles. Those figures give a measure of the ‘deep strike’ meaning. We shall not know the range figure for the F-35B until much later on in the OT&E programme, which is many years behind schedule, but it has been claimed to be around 1,400 miles – although we know from the JORD it was not expected to exceed 1,200 miles, less than one-half of the Canberra’s range. Are the British politicians deluded? Or are they trying to delude the electorate? Lockheed Martin has had to face the unpalatable fact that the failure of the JSF programme is widely discussed in its home market. The reasons for its failure are many and well known, and among the independent analysts the consensus view is that it was doomed to failure from the start. No aircraft has ever had such a heavy ‘lead weight’ tied to its tail. As a blog explained last year, an aircraft designed for a single role can often be adapted successfully for another. This is versatility. But an aircraft designed to be ‘multirole’ will suffer from so many tradeoffs (the greater the design’s complexity, the greater the suffering) that as a jack-of-all-trades it will be master of none (NBG). Versatility comes from genius; ‘multirole’ comes from marketing. To battle against growing hostility, Lockheed Martin is currently running a fierce PR campaign worldwide, helped in the UK directly by the MoD and by Ministers such as Mr Dunne. A campaign of this intensity (which gives immense publicity to the achievement of a routine deck landing) is a certain sign that the quality of the product is unacceptable. The F-35B with an empty weapons bay can take off and land, which is no big deal, but it is years away from being a warplane, from being able to fight – despite the SDSR2010’s mendacious claim three years ago of it being one of the two best fighters in the world. And the key message in the current campaign, always the resort of failures, is “job creation”. Whenever an analyst finds undue emphasis on the number of jobs to be created, he reads “never mind the quality, feel the width!” and knows it’s another confidence trick. This one is a world record. There has never been one like it in the past. There will never be another of this size. This page does not intend to be a destructive analysis of the F-35B forecast to cost us currently around £125 million each just to buy. (OMR – Operation, Maintenance and Repair – is calculated to double this figure during the lifetime.) The details this needs will be released in blogs during the next few months. What has been presented here with the ‘lead weight’ paradigm is the evidence that the JSF programme, although it will doubtless be commercially successful for Lockheed Martin (the concurrency that assures this will be explained in a later blog), was forecast to fail from the start. 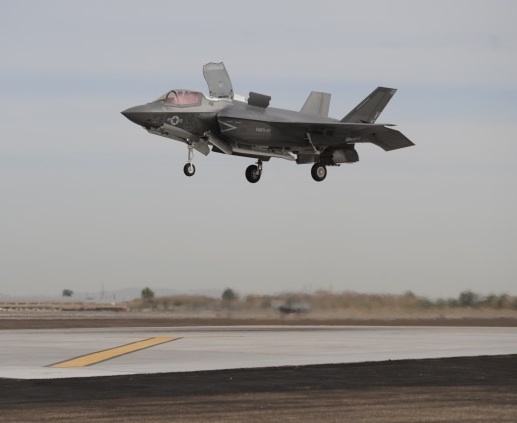 Readers familiar with last year’s series of reports on the billions of pounds lost by the incompetence in MoD’s contract negotiations will not be surprised to learn of suspicions that in respect of the JSF F-35B little has yet changed. The Pentagon’s Inspector General is about to submit his audit of the JSF Program in which he states that the F-35 program office should modify its contracts to “include a quality escape clause, to ensure the government does not pay for nonconforming product.” If the Pentagon has failed to protect itself, can the MoD assure us that nevertheless the UK is protected with “a quality escape clause”? Or are we yet again caught in a Nimrod-Typhoon-carrier trap? Last December‘s Mail Online decision to restrict its blogs to those of staff writers prompted suggestions that the William Forbes blog be continued independently, but other obligations intervened, despite heavy pressure from colleagues wishing to use it as an outlet for their most pressing concerns, principally those in respect of the egregious carriers-JSF programme, “Carrier-Strike”. This is especially relevant today with the news of back-bench Tories resisting further cuts in our Armed Forces and the decision to replace trained and experienced soldiers with weekend soldiers trained on summer camps ~ a policy that contributed substantially to our defeat in Norway in 1940. These independently minded and patriotic MPs, whose spokesmen have served in uniform, deplore such “white elephants” as HS2 being funded by money needed to sustain the Armed Forces and to improve the nation’s defences. The same argument applies also to the Carrier-Strike programme, to its vulnerable carriers and to their troubled jump-jet Joint Strike Fighter, the JSF F-35B. Many will be aware that the “black hole” was originally £32 billion, then £35 billion, and then finally (we thought) £38 billion, at which point this blog described it as an illusion, and in its efforts “to do something about it” Whitehall has destroyed several regiments, reduced the Royal Navy to below its critical mass, and emasculated the Royal Air Force. Now, apparently, according to Mr Thompson, the figure is £72 billion. From my colleagues’ perspective the most significant factor in this disaster is the Carrier-Strike programme whose eventual price will be immense. No one knows what the exact figure will be, partly because the JSF manufacturers cannot give one for the JSF, and partly because the partners building the carriers under the MoD’s supervision have a long history of unreliable price forecasts, but if the original plans are retained the long term costs will certainly exceed £25 billion (and if through-life costs are calculated carefully they may exceed £40 billion). Independent analysts insist that the carriers will be too vulnerable to use in a hostile environment after 2020, that the aircraft, the STOVL F-35B, will not operate as was agreed in the celebrated Joint Operational Requirements Document (the JORD) and will be tactically useless, that we cannot afford to complete the programme, and that the collection of regiments, ships and aircraft lost by its lunacy reduces the international standing of the UK to the third rank. Each of these arguments will be examined here during the months of October and November. The programme in its current shape was devised by the last Labour administration for a political purpose, electoral advantage. It would secure a few thousand jobs in areas the then chancellor, later prime minister, thought important. The incoming Coalition could have dumped it, but was persuaded by some extremely dodgy arithmetic that it was too expensive to cancel and then made it the centrepiece of its equally dodgy Strategic Defence and Security Review, the infamous SDSR2010. (The National Audit Office has since revealed that cancellation of both carriers would have saved £1.2 billion.) True Conservatives believe in conserving the ability to defend our national interests, not in chasing glamorous but senseless projects bequeathed by previous governments. But this is for future blogs. Today, with the renewal of activity, a lighter approach is more appropriate. Accordingly we shall turn to my old friend Nasruddin, the acclaimed philosopher-fool. For those who know little of him I should say that although many countries claim him as their own, with Turkey currently making perhaps the strongest case, I believe he was more probably born in Bokhara in Uzbekistan (and thus, being familiar with neighbouring Afghanistan and its sad history, is a useful man to know, as will become apparent). When Nasruddin returned to his house one night after having enjoyed an evening at the tavern he lost his keys and dropped to his knees to search for them with the help of the street light. A passing friend asked what he was doing and offered to help. Then two more friends returning from the tavern joined them, and although soon he was surrounded by willing helpers the keys could not be found. Eventually one asked, “Mullah Nasruddin, where exactly were you standing when you dropped the keys?” Nasruddin paused to think and then replied, “Over there, by the door.” His friends were puzzled. “Why then are we searching here?” they asked. “Because the street light is here,” explained the mullah patiently. 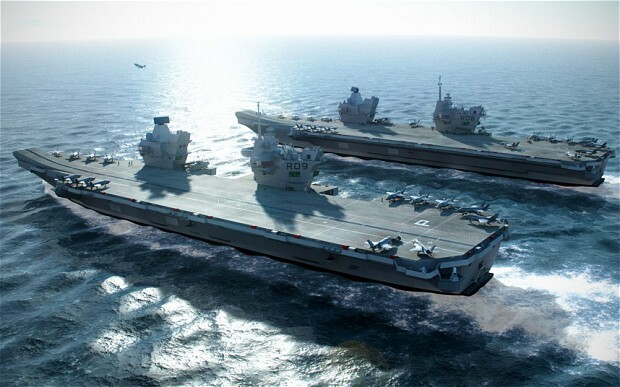 And that’s all I shall add today in respect of the planned employment of HMS Queen Elizabeth and HMS Prince of Wales (whose Photoshopped fantasy decorates the top of this page).